Hello friends, Welcome to Bangla Bhumi. Mobile phone is your best friend now a day, You want to do every thing in your mobile. 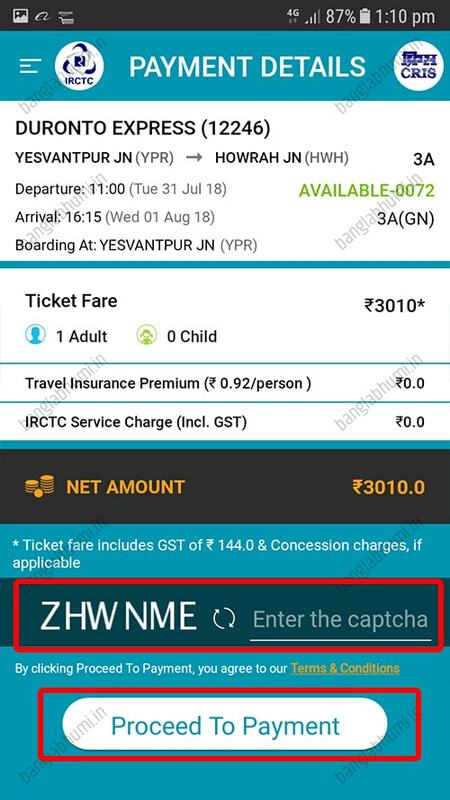 So why you not book your railway ticket from your mobile ? Why you go to the railway station and spend your time for book your ticket ? or Why you pay extra money to Cyber Cafe for booking your railway tickets ? Now Stop to waste you Money & Time. I will tell you how to book your railway ticket from your mobile. 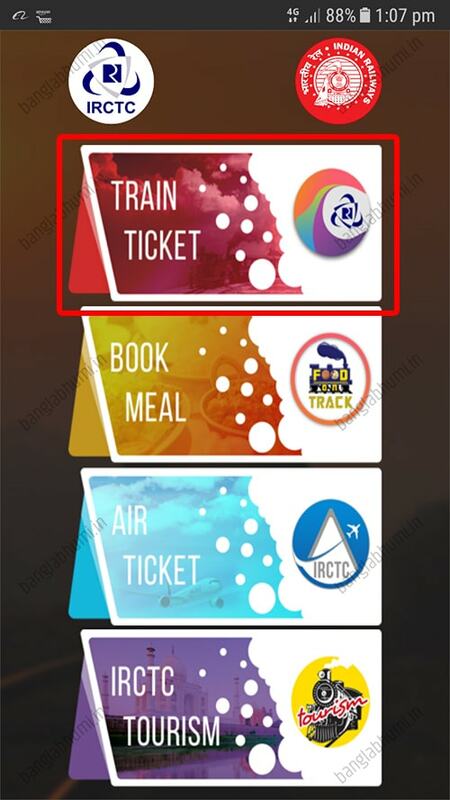 After Installing the app, Open it and click on "Train Ticket". If you a new user You need to register your information before booking tickets. 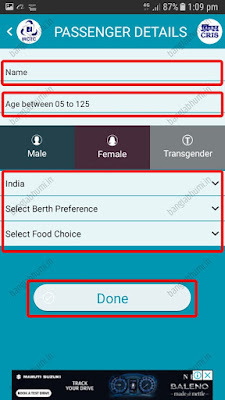 Click on "Change/Register User" and fill the form correctly with your personal details and mobile number. 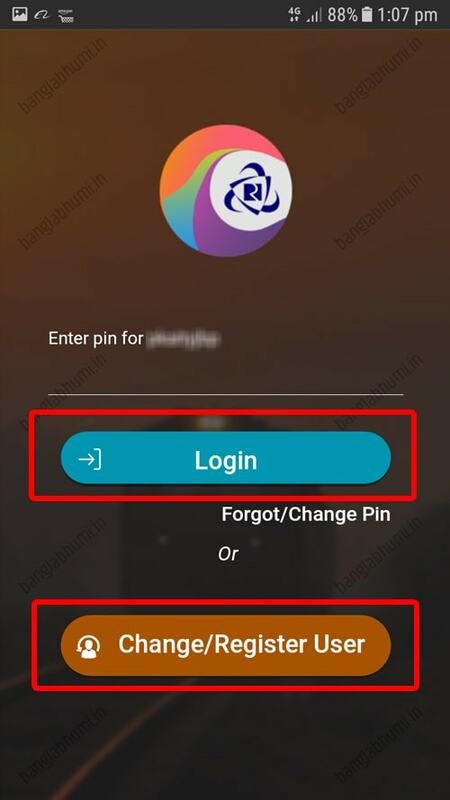 After verify your mobile number and email id you can login the app. Remember your "User Name" and "Pin" for login. Now enter your pin and click on "Login". You can see the New Booking Page for search Trains between Two Station you want to travel. Enter From Station, means Your Journey Start Station and Enter End Station of your Journey. After that select date of your journey then click on Search Train. 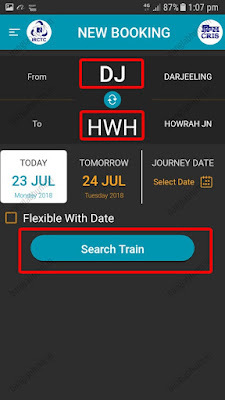 You can see all train list in the page, select your train for booking. 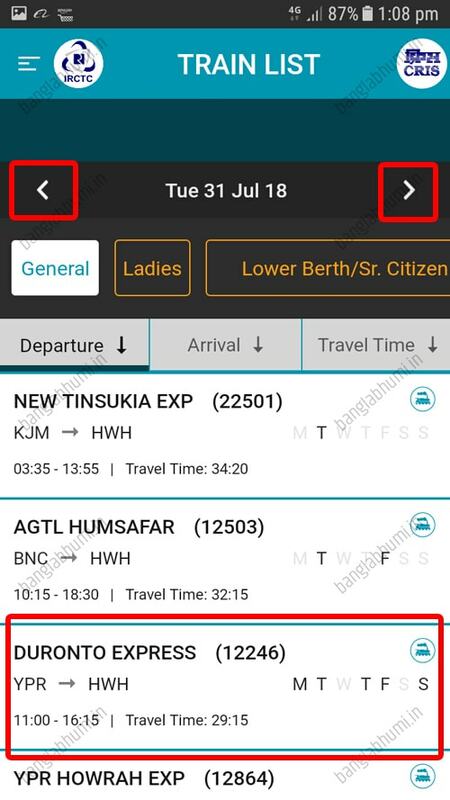 Now you can see the trains list. 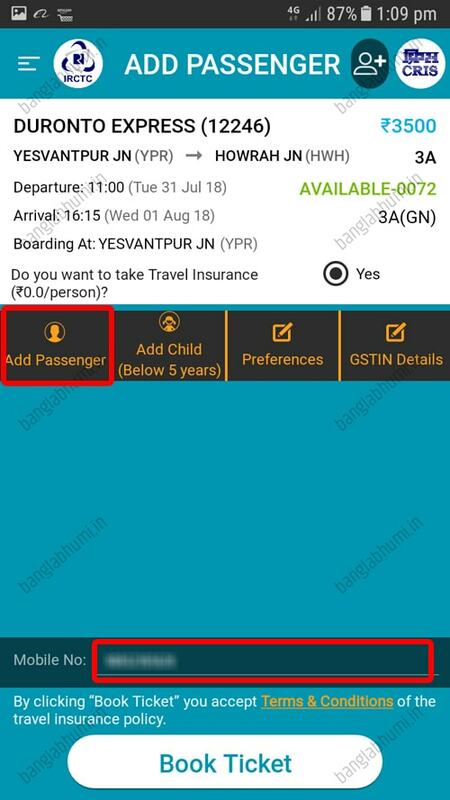 Select your train and select your coach (1A, 2A, 3A, SL), you can see availity of seats. 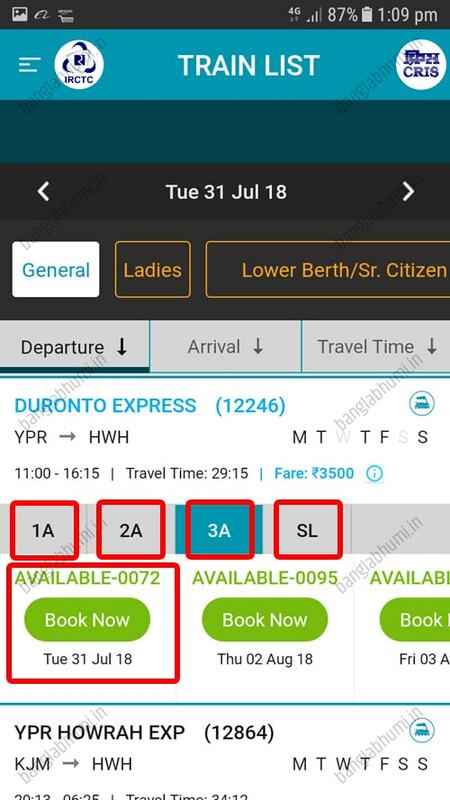 Click on "Book Now" as showing in picture. You can select any of this date you want to travel. 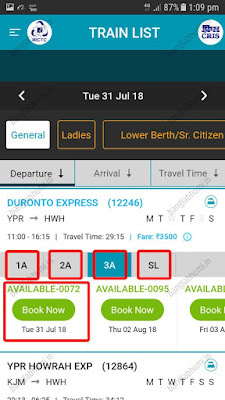 After the select your travel date and click to Book Now section you can see Add Passenger section for fill your and other Passenger details Click on "Add Passenger". 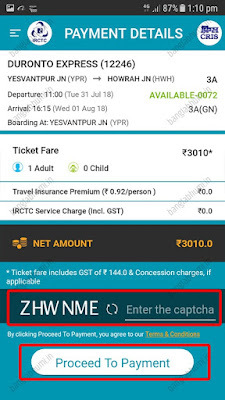 Don't forget to give your mobile number, it's a very important part because you get all your tickets details in your mobile like Seat Number, PNR Number etc. 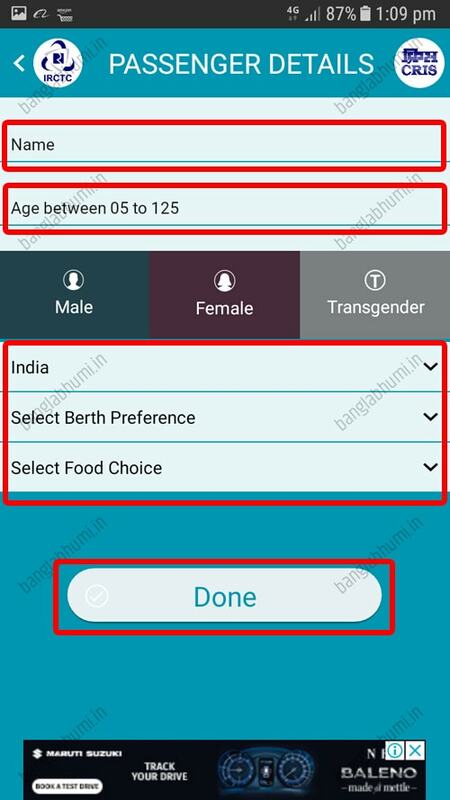 so give your mobile number correctly. After clicking "Add Passenger" Fill details of Passenger like Name, Age, Gender, Berth or Food then click on Done. If you have more then one passengers then do same process again. 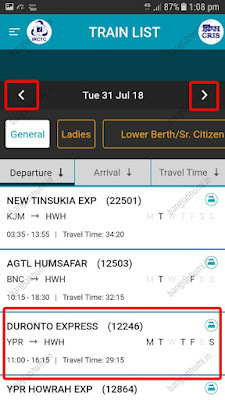 After Filling all passengers details (on't forget to give your mobile number) Click on "Book Ticket". 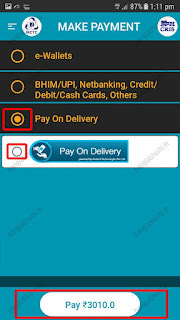 Now you are in "Payment Details" page, Write the Captha code as showing in picture the Click on "Proceed To Payment". After that You can select your Payment Mode like "e-Wallets", "BHIM/UPI, Net Banking, Credit/Debit/Cash Cards" or "Pay on Delivery". 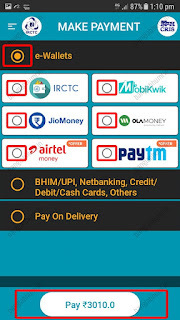 I show you all payment mode details in below pictures. 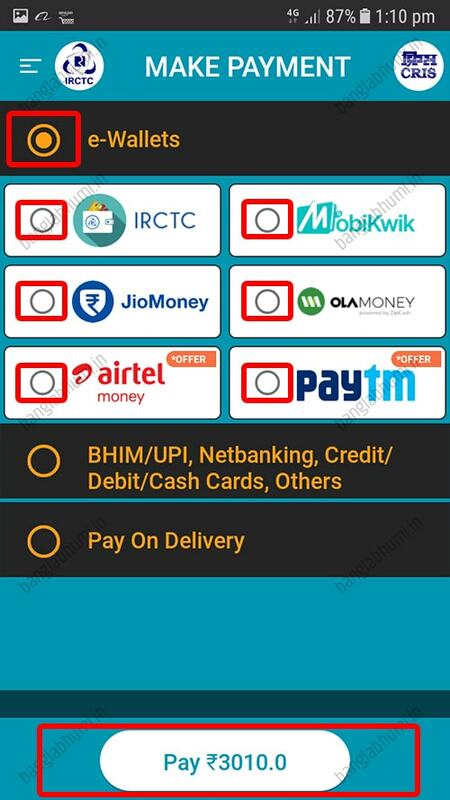 You can pay with your Jio Money, Paytm, Airtel Money and other payment mode. 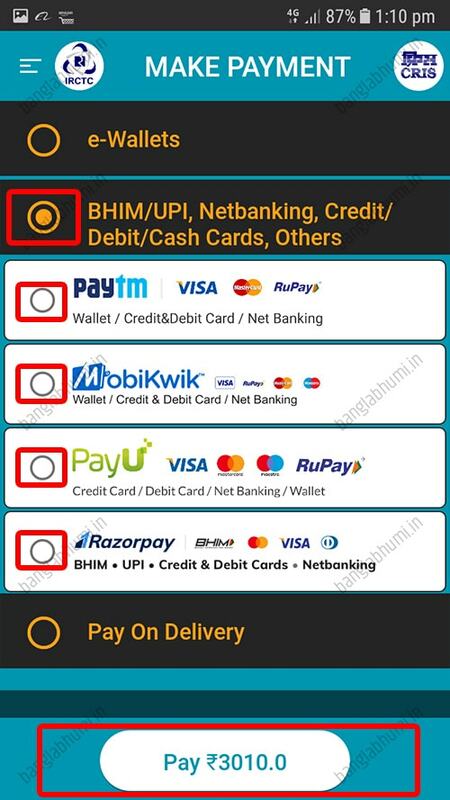 Some e-Wallets are give you "Cashback" for Payment using there Wallet. 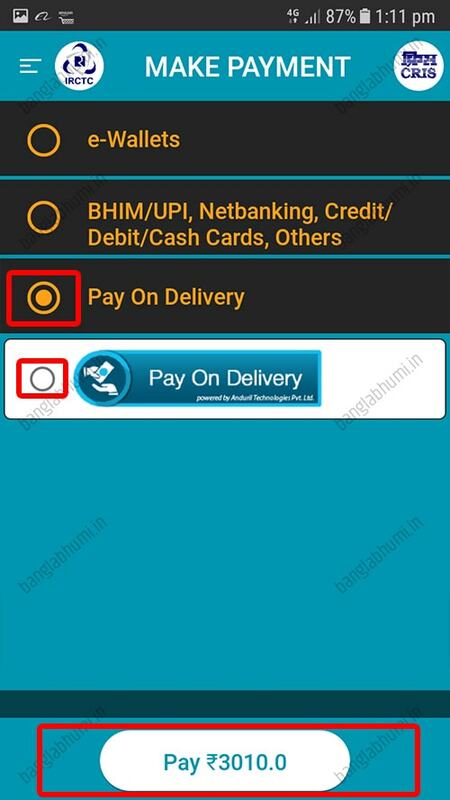 After select your payment mode Click the button in Below you can see in photo and Complete your payment. 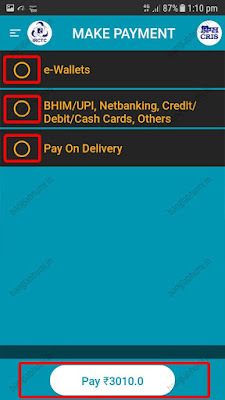 After complete your payment you receive an Email and SMS in your mobile with full details of your ticket. You can print your ticket using your Email. 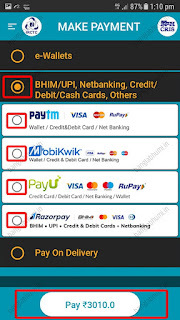 Always carry your original ID card like Aadhaar Card, Voter Card etc. 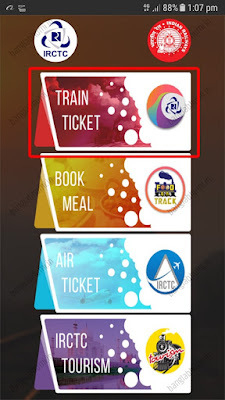 with your E-Tickets otherwise you face to problem in Train. So don't forgot to carry your Original ID card. 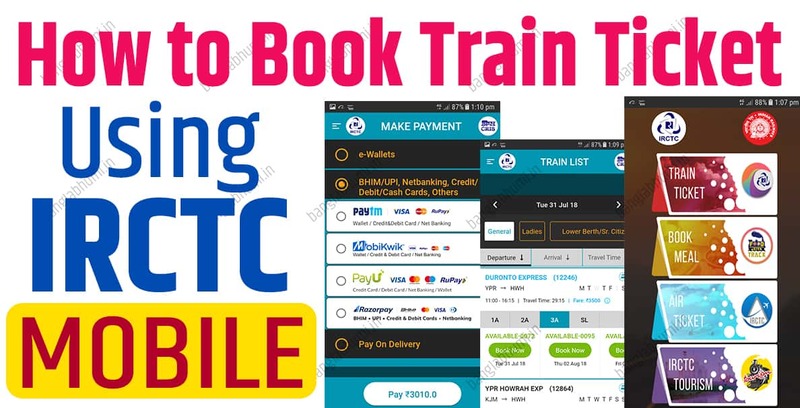 So friend now you know How to book Train Ticket using IRCTC Mobile App, If you like this post Please Share this post to your Facebook, Twitter and other social network website or Apps. Thankyou for using Bangla Bhumi. Take Care & bye.